Tributes poured in when the much-loved French coach Denise Shepherd (nee Schubenel) passed away in Melbourne on May 30. Denise was regarded in Australian opera and concert circles as a national treasure. She generously shared her love of French culture and music with a roll-call of devoted artists. Born in Paris in December 1927, she had a privileged upbringing. Her parents had their own box at both the Opera and Comédie-Française, and from an early age she was trained in the social graces and the art of conversation. Read more. In the remembrances following, singers and repetiteurs highlight the joy of mastering the French style under Denise’s guidance. She worked tirelessly behind the scenes at the fledgling Victoria State Opera. She was their secret weapon, delivering impeccable French style in operas including Carmen, Samson et Dalilah and les pêcheurs de perles. Remembrances from her colleagues: Adrian Collette, Marilyn Richardson, David Hobson, Gary Rowley, Linnhe Robertson, Loris Synan, Dr Robert Mitchell, Rosamund Illing, David McSkimming, Renée Cash, Anne Frankenberg, Ian Perry. Denise was a generous supporter of the Melba Foundation. Our first releases were a documentary film on the life of Jules Massenet, and "Amoureuse", both bringing together Richard Bonynge, the Australian Opera and Ballet Orchestra and soprano Rosamund Illing, marking the beginning of our label’s French flavour, and a cherished relationship with Denise. 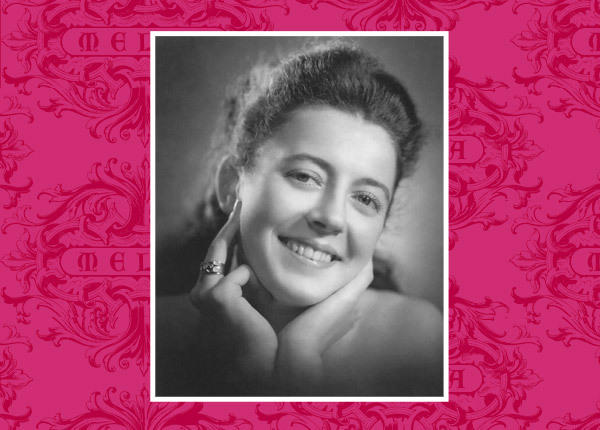 The Melba Foundation is dedicated to honouring Denise’s legacy with a series of exciting recordings of French repertoire. But we cannot continue without your support. Every gift, no matter how small makes a difference and helps us celebrate Australian musicians on the world stage. Please donate now.